Congratulations Heidi Ragsdale and D51 MESA Club students! 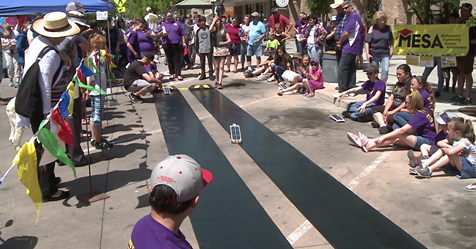 Awesome job on the solar-powered car races downtown during Cinco de Mayo. Solar cars utilized parts made from 3-D printers donated by our Community Foundation and the D51 Foundation. Read the full stories here.